Join the Marian Missionaries of Divine Mercy, and the Diocese of Columbus for an inspiring Mercy & Mary Retreat, featuring bestselling author of 33 Days to Morning Glory and acclaimed speaker Fr. Michael Gaitley, MIC. *PLEASE NOTE: This retreat has a limited number of spaces available and may sell out fast! Register Today! Retreatants will need to make their own arrangements for accommodations. Below are some of the hotels in the area. Inclusion in the list does not necessarily constitute an endorsement of the lodging facility. We strongly encourage retreatants to also do their own lodging research. Hilton Garden Inn starting at $124 per night. CLICK HERE (for group code: MMISS) or call the Hotel directly and ask for the Mercy and Mary Retreat Special Rate at 1-614-539-8944. Hampton Inn and Suites for $143 per night. CLICK HERE (for group code: CHHMMM) or call the Hotel directly and ask for the Mercy and Mary Retreat Special Rate at 1-614-539-2231. This retreat begins on Friday evening, August 30, 2019 with Fr. Gaitley’s first conference. The conference will begin around 7:15 p.m. and it will be the only event of the evening. Retreat officially concludes after Conference #5. Your payment for the Mercy & Mary Retreat supports the mission of the Marian Missionaries of Divine Mercy. Your generosity allows our level one missionaries to perform ministry with the homeless, poor, and needy in Boston, New York City, and our local community. The Marian Missionaries of Divine Mercy is a not-for-profit religious organization. A portion of your registration is a donation and will be tax deductible. *Please note: You may pay online or by mail-in check. 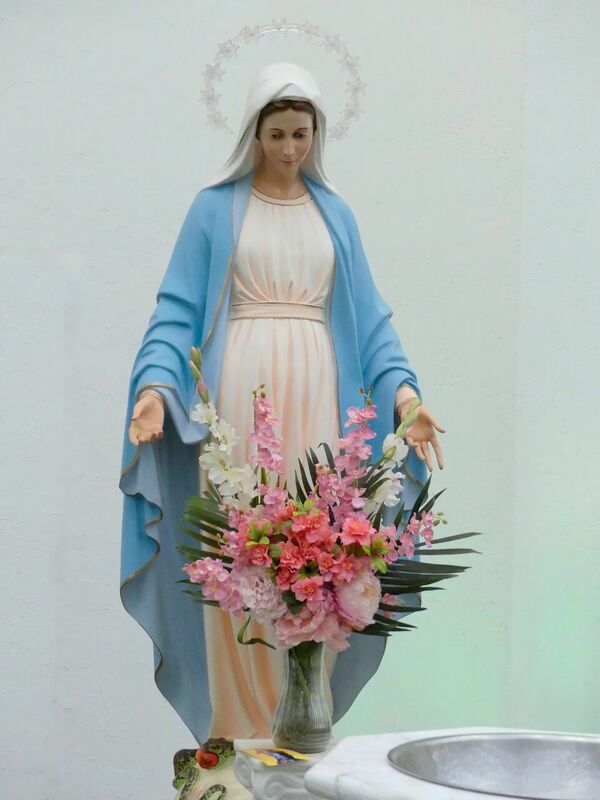 Due to a high volume of registrations, if you wish to pay by check, we cannot reserve your spot on the Mercy & Mary Retreat until your payment has been received. We strongly encourage payment online. Online registrations will be processed immediately. We cherish every contribution to our ministry and our missionaries work hard to ensure every dollar is put to work helping those most in need. When we receive your registration, we believe it is your full intention to support our efforts to meet those less fortunate in our communities. Because the Marian Missionaries of Divine Mercy has limited support staff, we do not have the ability to issue refunds. If you must cancel, you may transfer your registration to another party or donate your reservation to someone less fortunate who may want to attend – this is possible up to one week before the event. After this time, cancellations are no longer transferable and are considered a donation to the Marian Missionaries of Divine Mercy. ALL EVENT REGISTRATIONS ARE FINAL. We thank you for understanding. Additional information is sent to registered participants in the final two weeks before the event. 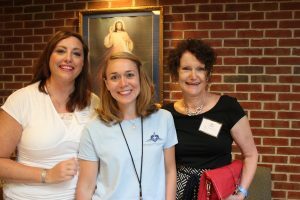 We invite you to add Events@MarianMissionaries.org to your email address book to ensure all of our communications arrive in your Inbox. *To proceed to the registration page, please select a ticket quantity from the options below. Thank you so much to our friends who choose to "Donate a Ticket." Please enter your own contact information for this ticket so we can properly acknowledge you. Please know that your donation will be put to good use, primarily for those who cannot afford to attend. Participant DisclaimerOur retreats may be a challenging experience for some participants that have difficulty ambulating. We want you to be aware that our retreats do require moderate strength and physical stamina. Depending on the facility, retreatants may need to walk up and down stairs and/or stroll to designated event activity areas. Special RequestsWe work hard to make your Mercy & Mary Retreat a success. However, it is not always possible to meet the needs of every individual. If you have particular items or foods that you may need during your retreat, we highly recommend that you plan to have these with you.